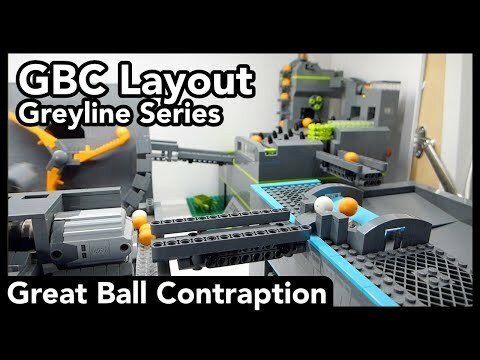 It occurred to me today that although Great Ball Contraptions (GBCs) have been discussed on these forums a few times before, there's nowhere specific for people to post about them or about the modules they build, so I thought I'd create a thread for it. If it dies a death, then so be it! I was also looking for the best place to post about the module I've just completed. 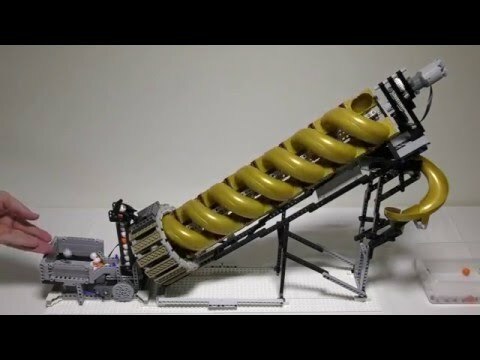 It's an Archimedes Screw style module, but using the aqua slide pieces, which as far as I'm aware has never been done before. I've also uploaded a video of it working here (I'm not sure how to embed it though). Think there may be an issue with your video link. I just get taken to a Youtube page telling me I need to create a channel in order to upload videos. It looks like an impressive piece of kit though - I'd love to see it running, as I can't see how the ball is driven up the screw. I really appreciate when a GBC model has attention given to color and style as well as function. That is some clever work! That's great work, I've never seen one of these like this before! Love it. I saw the picture on your Flickr, but a video is even better. Yeah I really like that one. Very nice, and using pretty much every colour too. 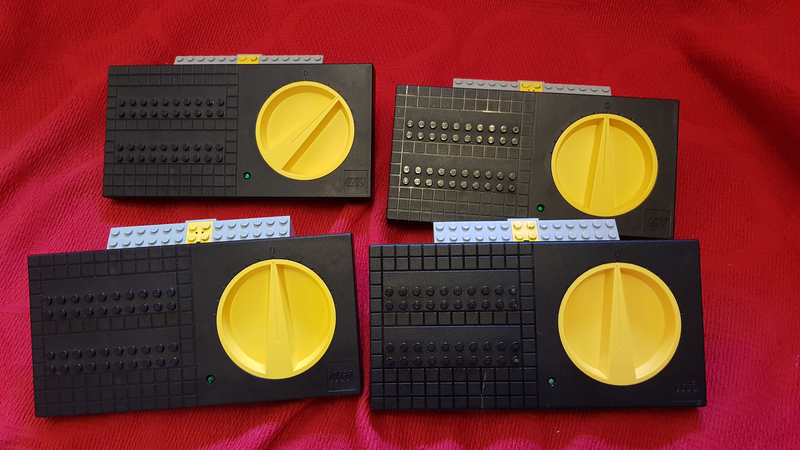 I would really love to see LEGO start a yearly Technic release that consists of a large individual GBC component, similar to the modular building series in that they would be intended to all connect together as well. Obviously it would be hard the first couple years, since they would be individual sets all alone without many other components to attach to, but think about a line like that 10+ years out like the modular buildings are... it would be super amazing! Brilliant use of the slide. 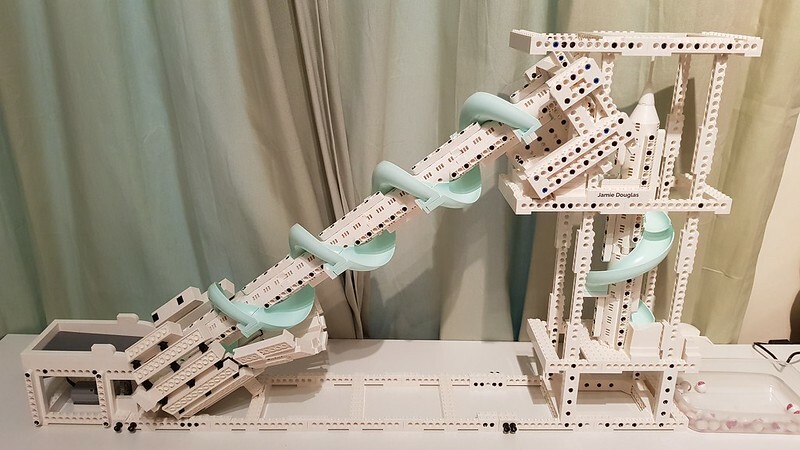 They are cheap enough on BL that I got my daughter 8 of them (so four full twists) that she zooms her Elsa and Anna down, but I had never thought of using them as an archimedes screw. I would really love to see LEGO start a yearly Technic release that consists of a large individual GBC component, similar to the modular building series in that they would be intended to all connect together as well. I don't. GBC is a community thing, not a LEGO thing. If official versions come along, they will probably start wanting their own rules about connectivity and function. I also doubt the popularity of them when it comes to sales. They look great, if you have at least a dozen. Which again is why they work well as a community / LUG display - very few people would want their own massive display due to cost but will contribute a few for a larger display. 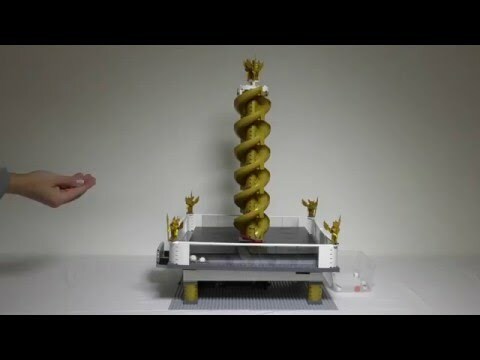 One of the related videos on YouTube is of a double helix using the gold parts. It would be nicer to see the balls, though! I guess you could easily add a second screw to yours? Are there any agreed "standards" for GBCs? 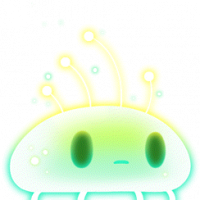 I imagine they're fun to join together with other people's creations (like at STEAM one year?) but how do you make sure they all connect nicely? I think this is a great idea, each year they could have a new colour ball. It would open up GBC to a wider audience and be a great part pack (what sets has 10+ balls in?). I think the best thing for Lego to do is keep the size and price down. The sets could act as starter sets teaching people the basics of different ways to move the ball around. This would mean that you were encouraged to go away and make you own bigger version and keeping the size down would also mean after ten years you could having them all running on your bedroom floor rather than needing a warehouse. Interesting! I'd not seen those two videos before. I thought of 'enclosing' the balls if I had to, but decided it wasn't really needed. Just goes to show that no idea is completely original these days! 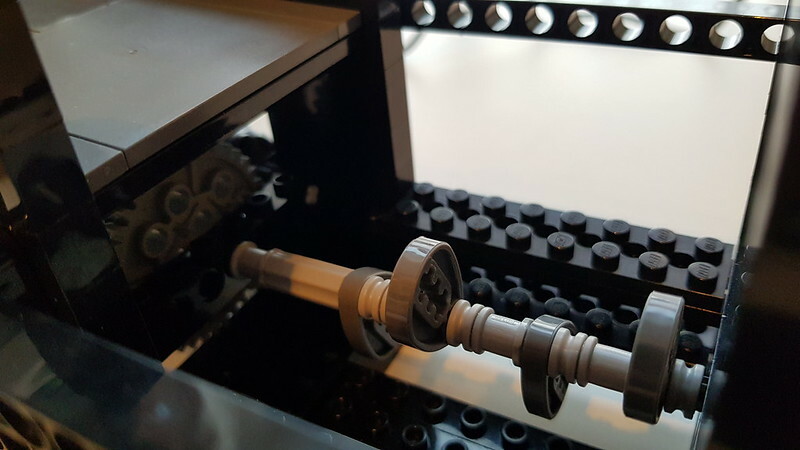 As for adding a second screw to mine, I couldn't easily add one, no, as I use Technic liftarms as supports for the central column, to ensure it doesn't fall apart. Adding a second screw would mean I'd have to remove that support. Plus it doesn't really need a second one. The second video is interesting. I tried seeing how the balls went down the slides, but I found that if the slide is too high, they often go down so fast that they fly out before they get to the bottom - you can see that near the start of the video - and you'd therefore need quite a large 'containment' area. I'm afraid I agree with this. You do need at least 8 or 10 to really get a half-decent display of them. Plus I also don't think they would sell very well. It's surprising just how many pieces a GBC module uses - even the small ones. The smallest one I have (which is pretty tiny) has about 250 pieces in it, and the white Archimedes screw has about 1500 pieces in it. Then you'd have to add in the cost of the PF, so even the smallest ones would be about £30, with larger ones well over £100. 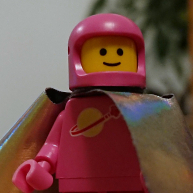 They simply wouldn't sell in anything like the quantities Lego would need them to in order to justify investment and production. I look forward to seeing how people implement the new roller coaster system into GBC modules. Lots of potential there. There's a reason to produce a trans-clear slide! The other interesting thing is how much spin the balls have as they come off (easy to see on the Friends balls). Yeah, that's all fair criticism of the idea for sure. I think there would probably be more demand than @CCC and @Paperballpark think, but I also agree that it would be questionable if there would be enough to support a big line of them. 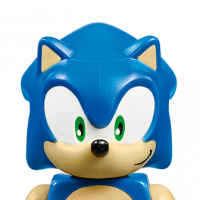 I really like @SMC's idea though, that maybe you have some smaller ones that show basic ball movements and such, but not on a bigger scale. Something like that I feel like probably could sell, but I do agree that they would have to find a way to handle the PF between multiple sets, and probably keep them pretty small. @Bumblepants Especially if they release a way to motorize it that doesn't wear/rub on the pieces. Definitely some great potential there! Oh definitely! You can see it a bit in my video, but they're really spinning when they get out into the container. It would be interesting to train a high-speed camera on it to see exactly how they come down the slide. I wonder how predictable the spin is. It would be really cool if you could use that spin to connect it up with the next mechanism. Like if you had a large flat area that they would spin across, and the spin would cause their trajectory to shift from going straight out of the slide across the flat area, to some rails or a small collection area off to the side or something. Would just be kind of neat to see a slightly unconventional transfer like that if the spin was predictable enough. Hi guys, it's really nice to see some Lego GBC discussion going on here since it's kind of scattered all over the internet. Jamie, I have seen other friends slides Archimedes screws, but yours is the nicest one to look at. That double standing screw is downright amazing. I would have never thought to rotate the screw to stop the balls from flying off the slides when they have too much speed. As for more GBC , I started a GBC blog and YouTube channel at the start of the year with the goal of getting some more quality Lego GBC content on YouTube. I look forward to talking GBC with you guys, and will post my new videos here when they are released. Here's my latest layout video, and a link to the blog. Sorry for the double post, the twitter integration seems broken, threw an error and caused me to post twice. I've asked to have it removed. ^ Don't worry it happens to us all. I started dabbling in GBCs last summer and have been hooked ever since. I've not come up with much that's completely original but I find it great fun watching videos on YT of other people's ideas then trying to reverse engineer and, hopefully, improve on them. Many of those on YT look great and are very clever but lack the precision needed to run all day at a show, and that's where the challenge lies. I almost missed this video, which would have been a massive shame. 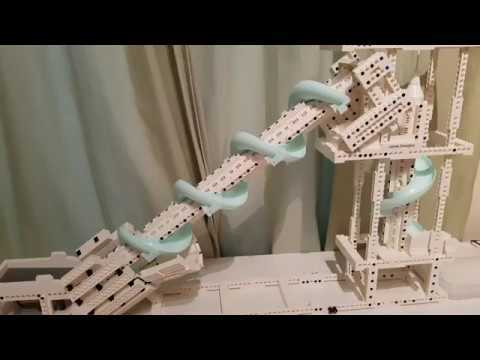 The brick separator wheel is inspired here! Even using the peg on the top to direct the balls through the hole... that's super awesome. 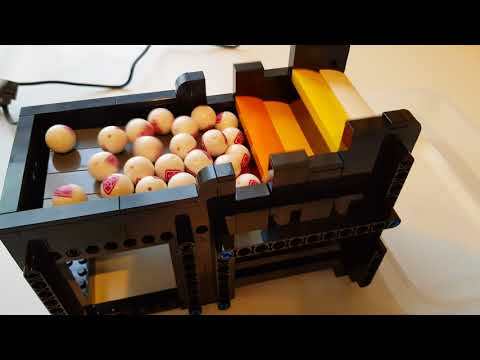 There is a module that used 2 separators in the Brickworld Virginia 2017 GBC layout video on Beyond the Bricks channel, that's where I got the inspiration to build Tri-Sep.
What I've really been having fun with lately is doing what PV-Productions does. You take a technic set and build a GBC module out of just those parts. (add a motor if needed) It's super challenging, but really fun, and more like a puzzle. I'm doing one with parts from the Mine Loader set right now... After 2 failed ideas I think I have one that is going to work well! What are the “easiest” three GBC modules to build? i appreciate @greatballpit’s site and associated videos but there are simply too many to peruse. looking to build them for an upcoming STEAM night. Also, is it necessary to have the 9v Train control? I'll post photos a bit later of a small one I've built, which is quite simple and straightforward to do. You don't need the 9v train controller, but it is best. You can just control it via a PF battery box, but that means you'll need to stop it and replace the batteries at some point. So here's a very simple 'lifter' GBC module that I made. I was fortunate that I had all the pieces I needed for this, and only needed to buy 7 pieces to swap some colours. 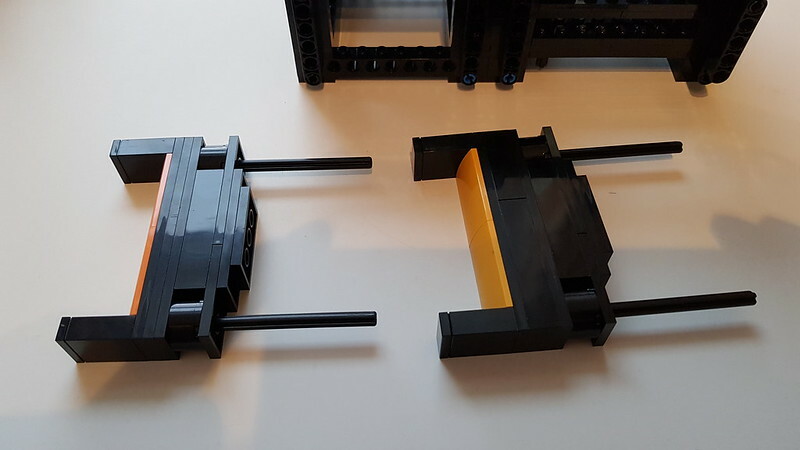 It uses about 250 pieces, and has quite a simple mechanism. These are two of the lifting sections - you can see that they're different heights. Each one is two plates higher than the previous one. They use Technic axles to stabilise them, moving through Technic plates. If you use too many of the Technic plates stacked together though, the axles will stick as they move through them. Here's the mechanism, which is simplicity itself. 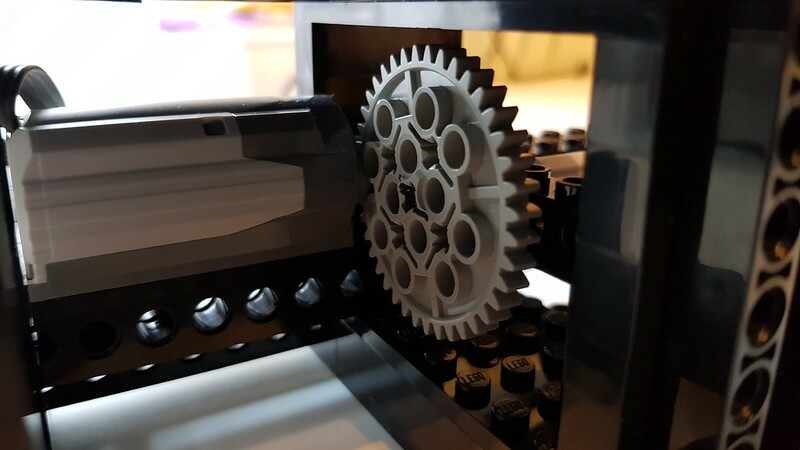 And this is the gearing - an 8-tooth gear on the M motor, connected to a 40-tooth gear driving the mechanism. Maico Arts' basic module is a great starting point, http://greatballcontraption.nl/bi/Skaerbaek2017-v0.11-without-light.pdf. It's the first module I built. It's small, super-reliable, uses just regular studless beams, and also a great module to have in a circuit to regulate the flow of balls. The instructions don't include a motor, as it's been designed to be ganged together with multiple units, but there's one here that can be used: http://greatballcontraption.nl/or you can just append your own, as I did. No, you don't need a train controller unless you're planning on running them for hours at a show. 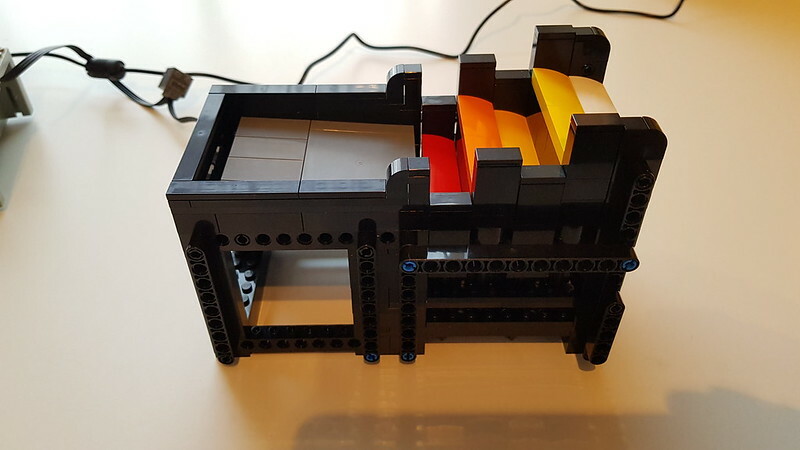 GBCRamps (the 2017 Brickworld Chicago module) as mentioned above is very reliable and easy to decorate. I have a video on GBCRamps coming out on Friday. I like the look of your module PaperBall, it's funny how the same mechanism can be built in different ways. The internals of my reservoir stepper looks nothing like how yours is built. 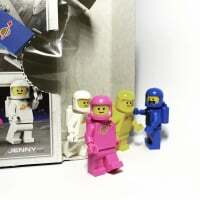 https://brickset.com/parts/design-72824 via BnP or BL... That'll keep it all Lego! The former balls (54821) are the wrong size (16.5mm) - they're too large for GBCs, and you wouldn't be able to use them in anyone else's modules, because all GBCs built to the 'standard' are built to accept the latter balls (72824), which are 14.2mm. The latter ones are definitely the best things to use - non-Lego 'marbles' or suchlike may be the correct size, but they might be different weights, which can affect how modules work. 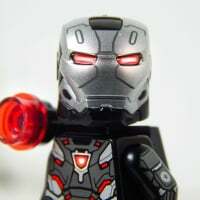 As said, you can buy them from Bricklink or Bricks and Pieces, but they're not too cheap. Best thing to do if you intend to display with others, is to buy a couple of dozen for testing, and when displaying with others, check if they have balls - if they've been doing it a while they probably will. BnP is down for the holidays (...), so BL would be your place to go for now (opens back up in the beginning of next month). Have you found a source of compatible transformers? I seem to have 2 more controllers than I can find them for. Not a cheap source, no. I bought two on amazon a couple of months back for about £9 each, and I also bought a couple from a guy who was selling PF stuff, for about £1 each(! ), but he only had two. I now have six controllers, so I need to find somewhere to buy another two transformers, ideally for less than £9 each. I originally thought that pound stores would sell them, but the ones I've looked in don't have any - everything is USB powered these days. A quick look on Amazon confirms that you can get them. There's one on there (from China) for just over a pound, including postage. BUT, because it's USB it only outputs 5v, which is obviously no good. There are cables on there which claim to take a 5v input and output 12v (how? ), but they're over £5 each, and by the time you've bought a USB plug as well, you might as well just get a normal DC adaptor. Oh and all of those cables are less than 1m long, which isn't exactly great.